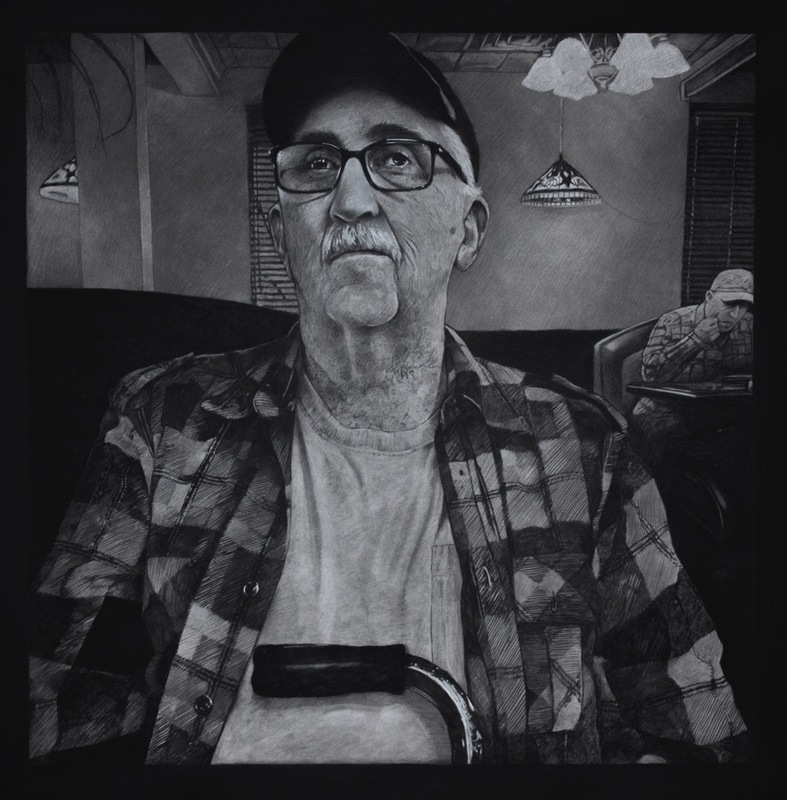 The Paducah Arts Alliance is proud to announce that board member Randy Simmons, Professor of Drawing at the Paducah School of Art and Design (PSAD), has received two regional Best of Show awards with individual portrait drawings of his parents. 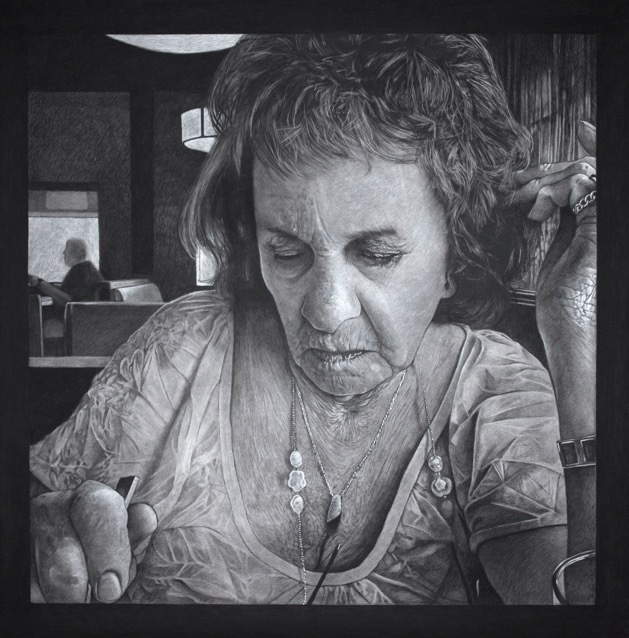 The Evansville Museum of Arts, History & Science, located in the Historic District in Downtown Evansville, Indiana, has selected the drawing “Mom” for the $5,000 Guild Purchase Award, and the Arts Council of Southeast Missouri has selected his drawing “Dad” for the 2016 Regional Juried Exhibition Best of Show and recipient of the $500 cash prize. The Evansville Museum of Arts, History & Science, located in the Historic District in Downtown Evansville, Indiana, will present the 58th Mid-States Art Exhibition, a regional competition for local artists from the six-state area, on Friday, December 9 through Tuesday, December 27. Entries for this high profile exhibit came from Illinois, Ohio, Kentucky, Tennessee, and Missouri. The juror, Irina Toshkova, Gallery Director New Gallery of Modern Art in Charlotte, North Carolina, selected Simmons’ charcoal and white conte drawing “Mom” as Best of Show. On Friday, December 2, the Arts Council of Southeast Missouri, 16 N Spanish Street, Cape Girardeau, Missouri, hosted a reception for the 2016 Annual Regional Juried Exhibition. The show, featuring pieces by 27 regional artists, will be on display through January 28, 2017. Artists were encouraged to submit works that interpreted any aspect of the Southeast Missouri Region, as well as its bordering states. The exhibition was developed to demonstrate the diversity of the five-state region and the artists who live here. The accepted artwork for the 2016 Regional Juried Exhibition was selected by Madeline Marie LeMieux, an artist and arts administrator who received her BFA with an emphasis in Art History, Theory and Criticism from The School of the Art Institute of Chicago and her MA in Visual Arts Administration from New York University. A Paducah native and nationally recognized artist, Simmons teaches Drawing I, II, Life Drawing, Introduction to Art, and Survival Skills for the Artist (Portfolio Development) at the Paducah School of Art and Design. He has received a MFA degree from the University of Cincinnati and an MA from Murray State University, both in drawing, and a BFA degree in painting, also from Murray State University. In the summers of 1988 and 1986, he travelled around Great Britain, Ireland, Wales and Scotland studying art. Simmons has been a merit award winner in four Mid-States Art Exhibitions, Evansville Museum of Arts and Science in Evansville, Indiana; a First Place award winner at the 2015 Cedarhurst Biennial, Cedarhurst Center for the Arts, Mt. Vernon, Illinois; and one of five equal award winners for the international drawing competition, “Drawing Discourse: 6th Contemporary Drawing Exhibition,” University of North Carolina, in Asheville. He was awarded Kentucky Arts Council Grants in 2005 and 2007, including the Al Smith Individual Artist Grant. During the summer, Simmons teaches for the Kentucky Institute for International Studies with the Italy program. He travels abroad with students, preparing them to be globally competent by exposing them to international culture, art, and history—an effort that enhances Paducah’s reputation as an UNESCO Creative City.